Do you love design, cities and social justice? Are you interested in how your neighborhood is changing? Do you want to learn about both while earning a small stipend? Do you live in Portland? Is your neighborhood changing? Do you like what you see when you walk down your street? Does it reflect you, as a person, your friends, your community? Can it better represent the people in your community? Here’s your chance to be an agent of change as a designer and activist for social justice! YOUR STREET YOUR VOICE is an interactive program that will immerse you in the process of designing city spaces and buildings. We will learn about the systems in the city, and dive into how density, gentrification, and policy impact our buildings and community. And more importantly, we’ll explore how can YOU, as a social justice advocate, can better understand how a space impacts a community, and how we can design spaces that better reflect the values of our communities. The term project is to identify a space in your neighborhood that you will design. You get to explore how physical space impacts your community, and create a new space that doesn’t yet exist. You will be guided by professionals in the fields of architecture, urban design, construction, and real estate development to help you along the way. You will also get to use creative multi-media to document your creative process and ideas. At the end of YOUR STREET YOUR VOICE, you will have gained an introduction to what it takes to design and have social impact on your street and your community. Did you know people of color and women are the most under-represented in the architecture community? Fewer than 2% of licensed architects in the U.S. are African American. 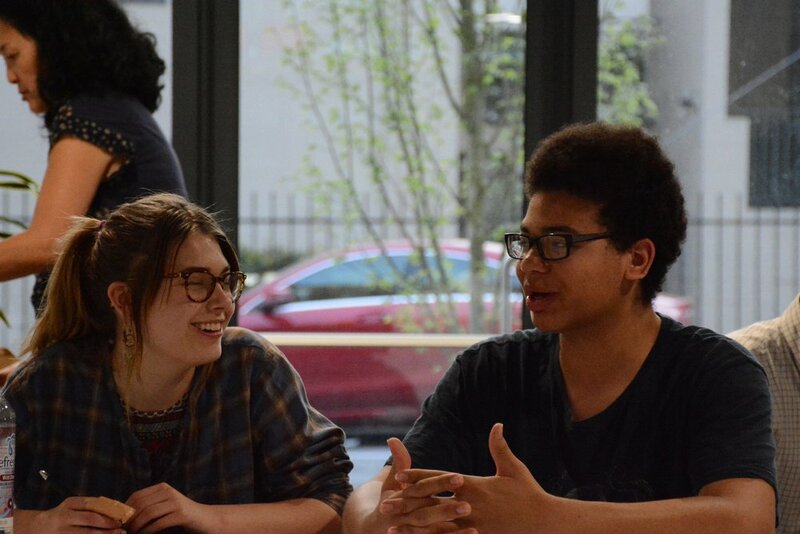 Because we believe that diverse voices and perspectives drive creativity and innovation – and make for more equitable spaces – this program specifically seeks participation from students who identify with under-represented communities. ALL selected participants who complete the program in good standing and attend 7 out of 8 sessions will receive a $250 stipend. So you don’t need to be an artist, or designer, just have PASSION to think about the city we live in, the streets we walk on, and the communities that are built in Portland. And, if you have taken the course last year, this will push your design skills even further. Come join us to learn about design and architecture while getting paid. We need your voices in our buildings! Caitlin Ranson moved to Portland from South Carolina in 2014 looking for a change, and a city that shares her values of good design and environmental stewardship. She also appreciates the endless outdoor activities and adventures the Pacific Northwest offers. After studying Studio Art & French at Davidson College, she worked as Marketing Director for an architecture firm in Boston. During this experience she realized that architecture was a fitting application for her creativity and desire to make a difference in the built environment, so she decided to return to school to pursue a Master degree in Architecture at Clemson University. At Hacker Architects, she has had the opportunity to work on many project types including performance spaces, mixed use buildings, and affordable housing in the city of Portland. She is excited about the potential for these spaces to shape the city she now calls home and make a difference in the lives of its citizens – from musicians to students to families – with the belief that everyone deserves beautiful, meaningful design. Caitlin lives in Northwest Portland with her husband, who is also an architect, and can be found running on the trails of Forest Park as often as she can. Joe Swank knew he wanted to be an architect from an early age, when he spent time drawing buildings and playing with Legos. At the time he entered architecture school at the University of Oregon, he had little understanding of how much impact architecture and the built environment can have on the culture, safety, and economics of a community. Joe has spent his career working on commercial and higher education buildings in many cities across the west coast, including Portland. Currently he is working on a new commercial office building that will be a catalyst project to anchor a new district in NW Portland. 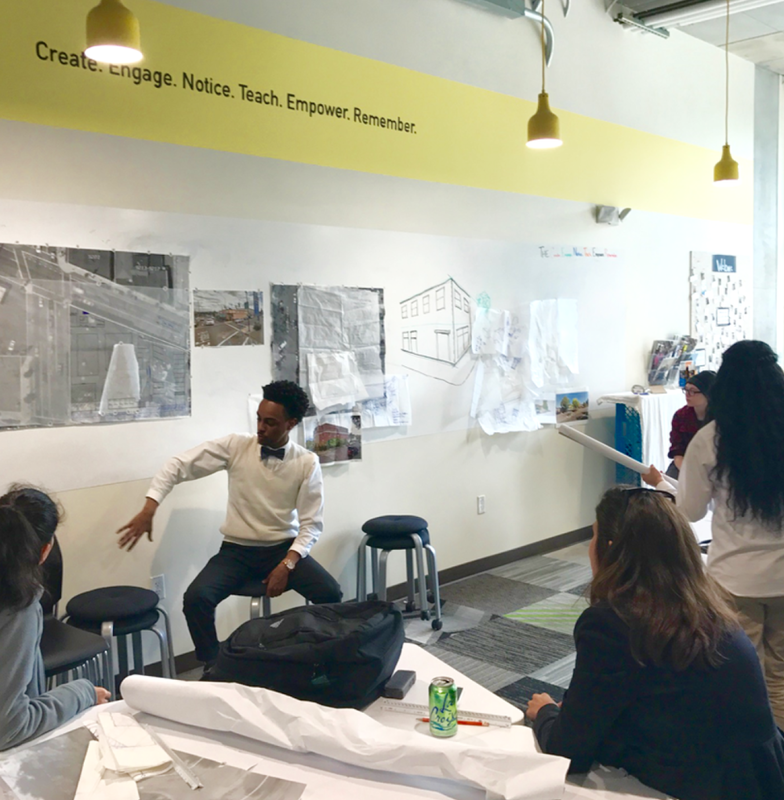 Joe often donates his time to high school summer programs or camps in an effort to provide students with some exposure to the architecture profession, and other related professions that contribute to creating the built environment. Joe lives in NE Portland with his wife and two young children, and has a great interest in all the development that is shaping the neighborhood where his children will grow up.